A couple weeks ago I asked one of my Clients in England (I have two) what he was doing to track his direct outreach marketing activities. His answer both surprised and delighted me. It was a monthly calendar with a space for every day of the week. His goal was to do a minimum of one direct outreach activity for each one of those days. What my client had realized is that simplicity plus consistency leads to success. And in almost all cases both of these factors are missing when it comes to marketing. Simplicity gives way to complexity: Charts with several columns, or numbering and scoring systems are confusing and hard to track. I’ve tried multiple systems like this, both for my own marketing and for my clients. None of us stuck with them for long. Consistency gives ways to inconsistency: One day certain actions are taken, the next day, none. Missed activity goals lead to guilt and more avoidance. Marketing turns into a dreaded chore. But when you combine simplicity with consistency, what you set out to do is relatively easy and the daily routine takes very little time. By the way, my other English client showed me the exact same direct outreach system only a week later! Must be the climate. In two of my recent More Clients eZines I talked about direct outreach marketing: Reach Out and Touch Someone and Six Steps to Turning Prospects into Paying Clients. These cover the nuts and bolts of direct outreach and selling conversations. The simple and consistent outreach plan I explain in this article is the missing link that helps you to implement those ideas. Your overall goal with direct outreach is to make more connections with prospective clients, get more meetings or appointments with them and covert more of them into great paying clients who get great value in working with you. Let me give you a few guidelines by answering some questions. Can I only do outreach once a day? No, of course, you can do more if you have the time, and especially if you have a lot of prospective clients in your pipeline (or, as I say, marketing game). But this is the most important. You cannot do less. 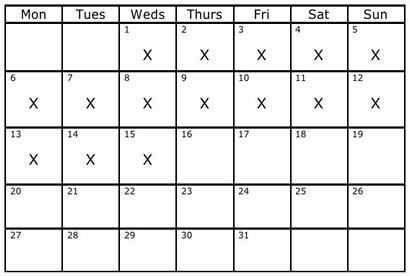 Even if you send several outreach emails or make many calls in a day, these do not substitute for the other days of the week. Make a minimum of one outreach per day. Period. By the way, doing this five days a week is fine, but no less. What marketing activities are actually direct outreach? Following up by email or phone with someone you met recently at an event, a conference, or even socially. If you feel they have the potential to be a client or lead you to a client, you need to connect with them. Personalized emails (and follow-up calls) to past clients, associates or other valuable connections who can lead you to new clients. Emails or calls to ask for referrals. Follow-up on leads you’ve received. Calls or emails to organizations for speaking, interview, and writing opportunities. Connections on LinkedIn. The more personal you make your messages, the better. If you have a first-level connection (whom you do know), explain why you want to connect with their connection (whom they know). Cookie cutter emails won’t work here. Also remember, direct outreach is not cold calling. It is reaching out to those with whom you already have a connection. My experience has shown that cold calling for professional services is very difficult to succeed with. 1. Say something to acknowledge or praise your receiver. Make it authentic and simple. “It was great to connect with you at the conference. Your ideas about management really got me thinking.” A two- to four-sentence paragraph is enough. 2. The reason you are contacting them. Make it clear and benefit or outcome-oriented. For example, you might offer an idea for reducing costs, increasing income or improving management – or anything else that might possibly help your prospect. Keep it short but compelling. 3. A call to action. This really depends on your relationships, but what you want to request is a “short chat” not a long meeting. Short chats lead to longer meetings. I also suggest you propose a few times that will work for you so they don’t have to send an extra email to find out. By the way, the more personal the better. One of my clients gets an almost immediate response to most of the emails she sends to past contacts because of her relationships with them. Sometimes an email is enough to get a response. But you may have to make a number of follow-up emails or calls to finally connect. Friendly persistence is the key. How do I prepare for these calls? Scripting. Think seriously about what you want to say, write it down and read it aloud. Make it simple and direct. Don’t waste time with idle chit chat. Here’s an example. “Hi, this is James, we met at the Management Conference last week. I’d sent an email but wanted to follow up. Is this a good time to talk for just a minute? “Great, I really appreciated some of the ideas you shared at the conference. You really got me thinking about how much better management and leadership can be. When you are reaching out to someone, you are “on stage in your business.” Be prepared, don’t wing it. This goes for both emails and phone calls. Won’t people feel that these emails and calls are an interruption? Perhaps, but so what? If you write good emails and make effective calls, you won’t get much resistance. If you fear resistance and rejection, you’re more likely to get them. I helped a client create a very successful speaking plan. First, he called a number of organizations and then sent his speaker’s kit. If he hadn’t reached out he wouldn’t have gotten any talks. Then he got cards from attendees at the talks and determined their interest before he followed up with them. He landed appointments and ultimately earned himself many new clients. When you commit to doing it, it’s easier than you may think. When direct outreach emails and calls lead to selling conversations, what do I do next? Well, one thing that almost everyone misses is sending some detailed information about your services before you meet with a prospective client. And also find out as much about them as possible before you meet. This way, selling conversations go faster because you’re already up to speed with each other. I’ve also found that you close business faster if you do this. What are the biggest challenges or obstacles to doing direct outreach marketing? 1. Fear of resistance or rejection. Everyone seems to have this built in. You need to clearly see that this fear is mostly imaginary. 2. Not preparing. You need to get organized, think this through, create lists of people to contact, script what you’ll say, and practice. There’s a big return from this kind of activity. 3. Indifference. If you are motivated to grow your business you’ll find this a whole lot easier. If being comfortable is more important than succeeding, you simply won’t take the steps required. Read over this article a few times and Start Now! Do You Live in a Marketing Fantasyland? previous post: What is the Purpose of Your Marketing?